Whether it’s the Apple Watch effect or part of Pebble’s annual product pipeline, but California-based Pebble Devices, Corp. refreshed its website this morning with a nice countdown timer which possibly teases a new smartwatch model coming next Tuesday, February 23, 2015. The announcement is scheduled at 7am PT, 10am ET. 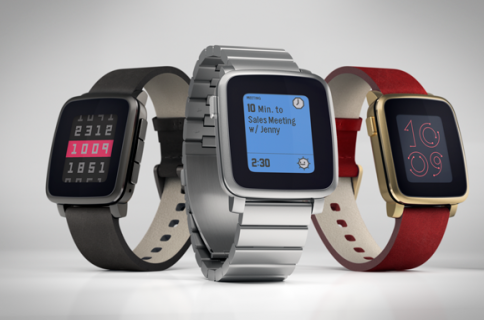 Pebble seems undeterred by the highly anticipated Apple Watch launch in April. Company CEO Eric Migicovsky told The Verge a little more than two weeks ago that new hardware products are in tow for 2015. A thinner form factor is likely to be expected, as is the inclusion of Bluetooth Low Energy (BLE) communication. According to sources familiar with Pebble’s roadmap, the new device(s) won’t include heart rate sensors like the Apple Watch, or NFC for mobile payments as the company sharpens focus on QR-enabled apps. 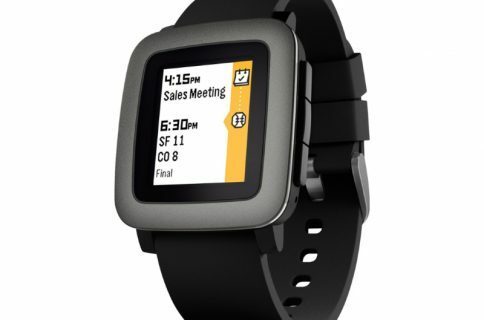 It will be interesting seeing whether the next-generation Pebble is outfitted with a color display, as opposed to its existing monochromatic, high-contrast e-ink screen. Based on Migicovsky’s previous comments, it doesn’t seem that the display will be touch-enabled. A refreshed software powering the device is highly likely given the firm recruited former webOS designers to advance the Pebble OS. New sensors shouldn’t be expected because “the wrist is not the best spot on the body to receive all those signals,” according to Migicovsky. Instead, he alluded to the Pebble continuing to function as the display “for all these different sensors in your life” that you have inside your other devices, including your smartphone and specialized fitness and health trackers that you wear. Pebble, which supports online payments via a dedicated PayPal app, hopes to battle Apple, Google and others by implementing a new type of interaction and a whole new style of hardware and software. “You’ll actually interact with the watch in a completely different way than you do today,” Migicovsky said. He wouldn’t specify what this new type of watch metaphor might be other than saying he didn’t believe the app store model is the right approach to smartwatch customization and extensibility. Earlier this month, the wearable company announced hitting the 1 million smartwatch milestone, drawing parallels between its achievement and Apple’s iPod launch.